The bronze culture of Yunnan is a wonderful work in the splendid bronze civilization of the Chinese nation. 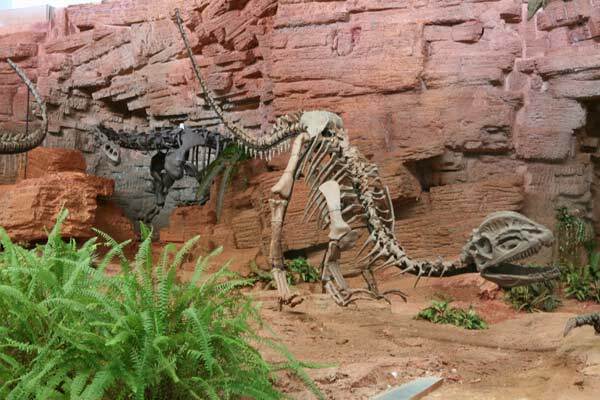 This culture began in the late Shang Dynasty (twelfth Century BC), and finally the late Western Han Dynasty (ad first Century), the Warring States period to the Western Han Dynasty is the heyday. The academic circles in accordance with the characteristics of unearthed cultural relics of Yunnan bronze culture into the Dianchi area, Erhai area, Northwest Yunnan and southern Yunnan four types. Dianchi bronze culture distribution in Dianchi and its surrounding area, in Jinning, Jiangchuan Shizhaishan Lijiashan, Chenggong emperor temple, Guandu Yang Fu first large cemetery as the representative, typical artifacts are bronze drums, receptacles, hold the umbrella Commission, copper pillow, buckle and so on, these artifacts elegant, true to life, fully embodies the Kunming ancient people's ability and cleverness and superb smelting technology. 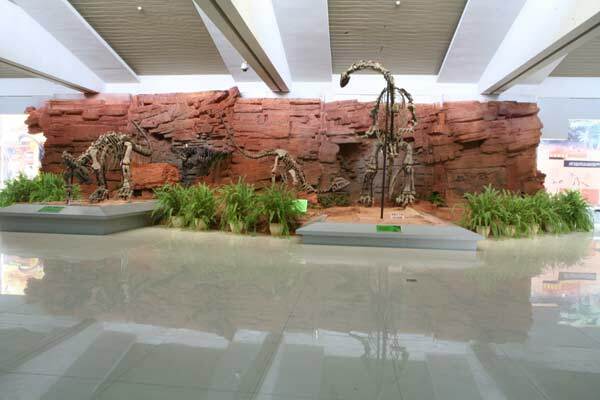 The exhibition featured Chinese double ridge dragon, huge dragon, Yunnan Lufeng Dragon 3 dinosaur fossils, Sichuan dragon, dragon Kam Tianfu Emei 2 dinosaur models, and mainly from the Jinning sunset township of dinosaur fossils of more than 60 pieces, nearly 30 fossil footprints.